Over the centuries many Christians have carried VADE MECUM—latin for ‘go with me’—which were short manuals filled with cherished words of instruction, texts, and prayers for easy reference… wisdom and truth that would accompany them on their journeys. 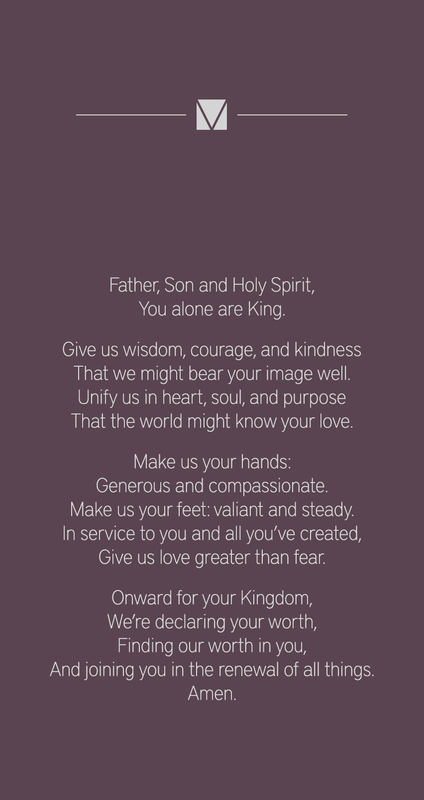 We’ve written a prayer, that now serves as our benediction at Vineyard Church. It’s our VADE MECUM. It’s a declaration of deeply held values that unite us and inspire us. 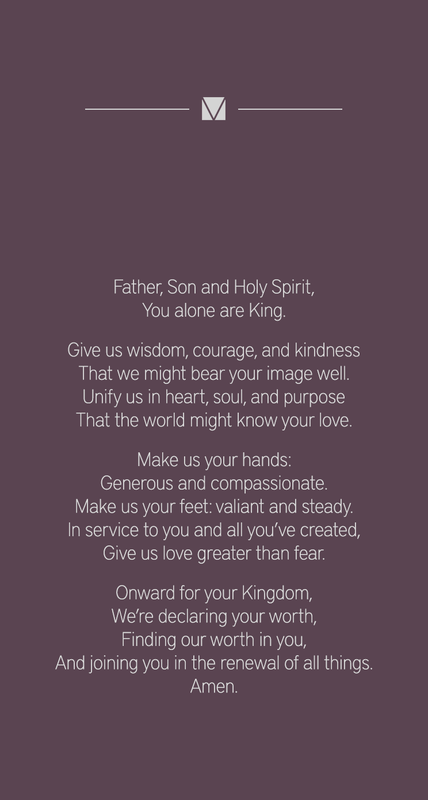 And each week as we stand and speak these words in unison, we are challenged to take these truths and petitions to accompany us on our every journey. That we might bear your image well. That the world might know your love. Make us your hands: generous and compassionate. Make us your feet: valiant and steady. 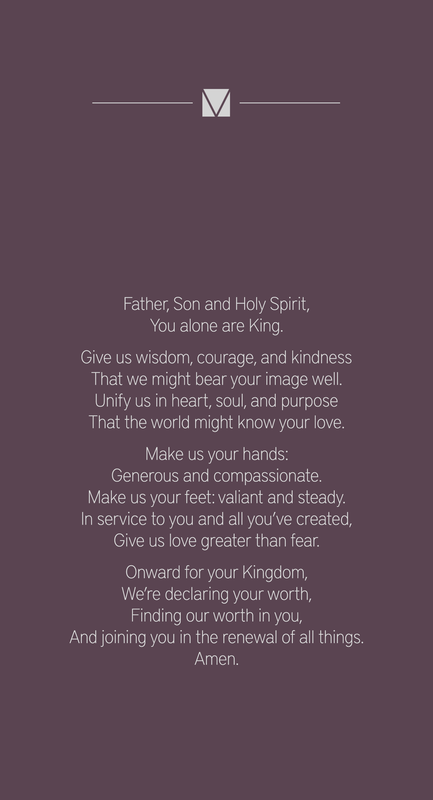 Give us love greater than fear. And joining you in the renewal of all things. 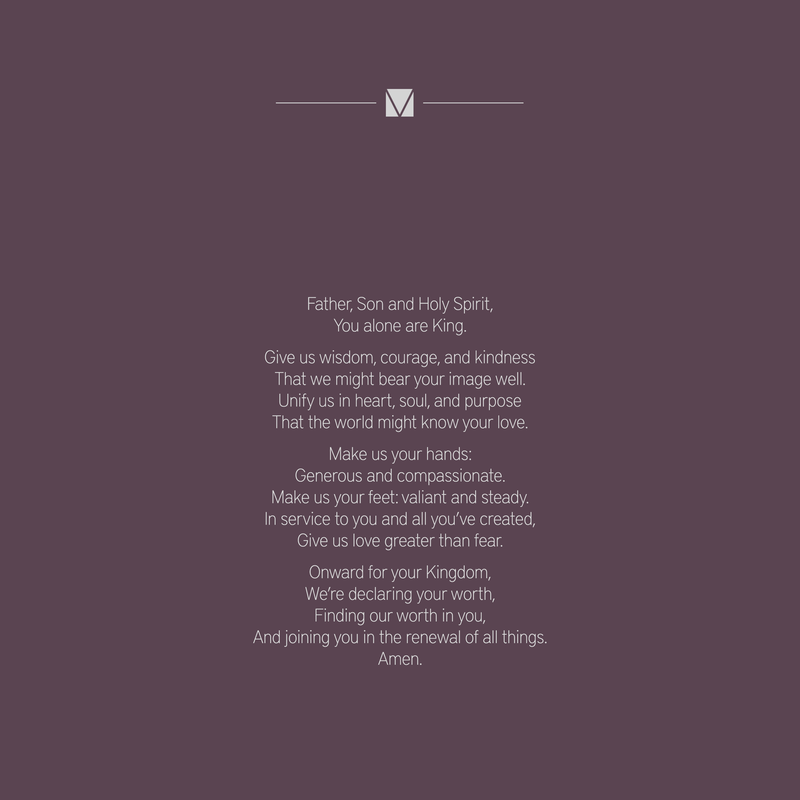 Use a wallpaper on your lock screen to make our prayer a modern Vade Mecum. Just choose the size, open & save the image, and then set as wallpaper.